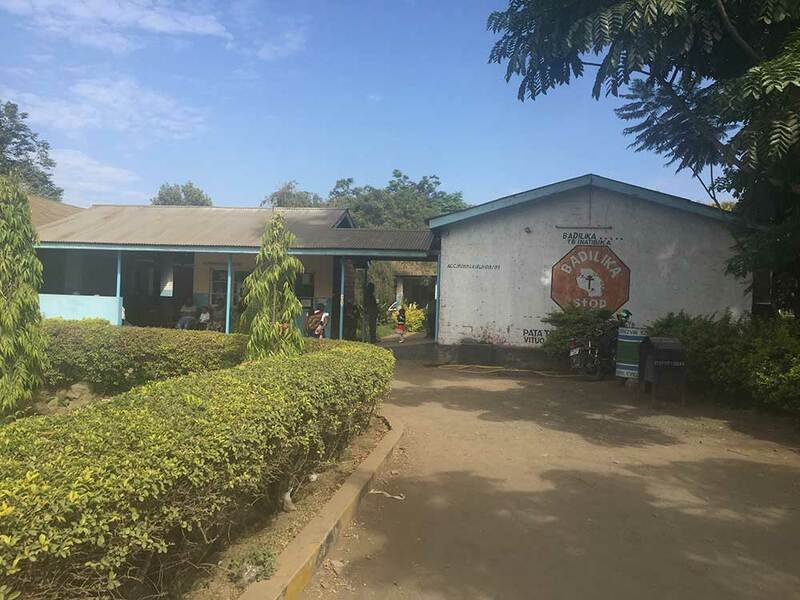 “My volunteer placement was at Levelosi, a government hospital in Arusha, Tanzania. Most of the work done was outpatient- there were HIV, TB and diabetes clinics, a laboratory and a wound care and injection room. The examining rooms were located around an open courtyard and benches were usually filled with colorfully dressed people patiently waiting to see a practitioner. The one inpatient area was the Labor and Delivery. This was where I spent the majority of my time. The Labor and Delivery ward was so different than one in the United States. Women had to bring all of their own supplies. They would bring several of the colorful brightly patterned cloths that you see everywhere in this part of Africa- kangas. One kanga would be put down on the delivery bed, as there were no sheets. Another would be used to wipe off the baby and clean up all the body fluids. Another would be used to swaddle the new baby. I was told that this was also how women could identify their baby, as there were no ID bracelets, and all the new babies were placed on the same table under a heating lamp (when the electricity was working). Patients had to bring their own needles and syringes, their own sutures and bandages. If a patient needed a medication, the doctor wrote a prescription and sent a family member to the pharmacy to pick it up. In the United States I am sometimes horrified by how much garbage our hospitals produce. In Tanzania it was the opposite, there was so little garbage. Sometimes I actually missed the garbage and found myself wishing that I had some disposable wipes to use, or a one time use saline flush wrapped in plastic. As you can see from the photo below, there was not a lot of privacy for women in Labor and Delivery. Besides the different women in labor, there could be a whole assortment of doctors, nurses, students and volunteers in the room. Sometimes helping patients, but sometimes talking, laughing, playing on their phones. I felt so bad for the women having difficult, slow to progress labors. They would just lie there in pain for hours while there was all sorts of activity all around them. There was no sort of pain control, no options for medications. There was not a lot of emphasis on non-pharmacological measures either, no talk about breathing or positioning. And the women always came alone, they had no partner or support person to rub their back, give them sips of water and just be the re for them. It was inspiring to see how strong women are capable of being. It was also amazing just to see childbirth. I had never had this opportunity before coming to Tanzania. I watched countless births, and even got to see a few C-sections (women do get pain medication for these). On my very first day the doctor pulled out a baby via C-section and handed it directly to me. It was an honor to be one of the first people to hold a brand new baby.